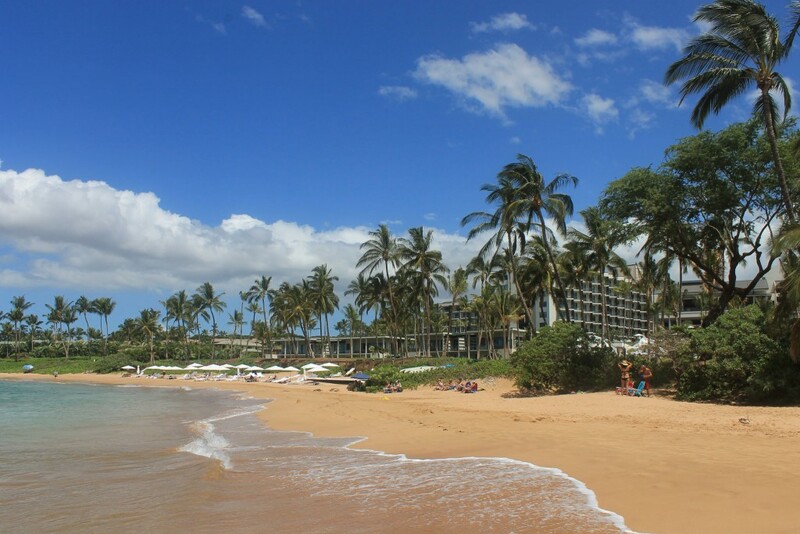 In a nutshell: Quarter-mile long pocket of sandy beach fronting the Andaz Wailea Hotel. Minuses: Parking can fill up early. Good swimming, boogie boarding and excellent snorkeling around the rocky outcrop to the south. 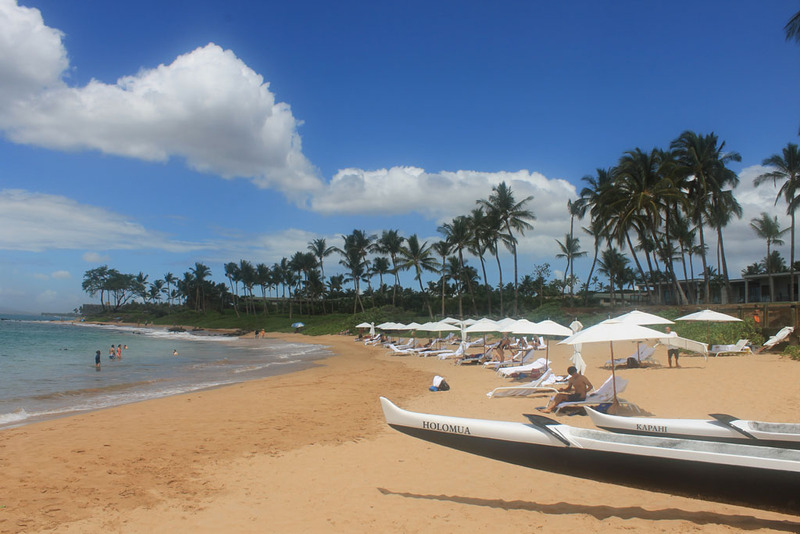 Fronting the recently opened Andaz Wailea Hotel, the name means “sacred island” and is said to refer to a small rock islet that used to be just offshore. But don’t strain too hard looking for it – all that remains to be seen of Mokapu Island today are bits of rock sticking out of the ocean – like Mokapu, many South Maui islets were blown to bits During WWII combat training exercises. Location: End of Hale Ali’i Pl (access from Wailea Aluani Dr.) – See Google map below for exact location. Facilities: Bathrooms, showers, no lifeguards. While there are not as many fish as on the south side of the point, off Ulua proper, it’s much less crowded. There is usually at least one turtle to be seen. If the waves are rough, do not get too far into the rocky areas.